Use the Most Accurate Data – your telemarketing will be more effective if you have up-to-date data since it avoids the time lost in making calls to dead-lines and departed contacts. The central value of telemarketing is actually speaking to someone. However, speaking to the right person will deliver much better results. Keep the Morale of the Telemarketers High - whether the calls are handled internally or outsourced this remains equally true. The person making the calls is human - if they are consistently making wasted calls as a result of data quality problems eventually they will assume that the next call will be a waste of time. This will then show in the way they talk to people and lead to even more negative outcomes . . . indeed it becomes self-perpetuating. Try Split-Testing - if you have a sufficiently large campaign, try “split-testing” the project by giving a portion of the list to 2 or even 3 agencies or people, this will allow you to find the agency/person that provides the best return on your investment. Be Involved in Targeting the Data – and the selection of data providers. Most agencies don’t have established relationships with that many data providers, though they will often know that other data owners exist. It is worth checking what alternatives are available and that any recommendations from your telemarketing agencies are based on their experience of data quality and suitability and not some other interest - such as personal friendships, better margins, or a reciprocal arrangement that provides them with other benefits. Don’t forget, it might not be the most appropriate data for your project even if it is free. 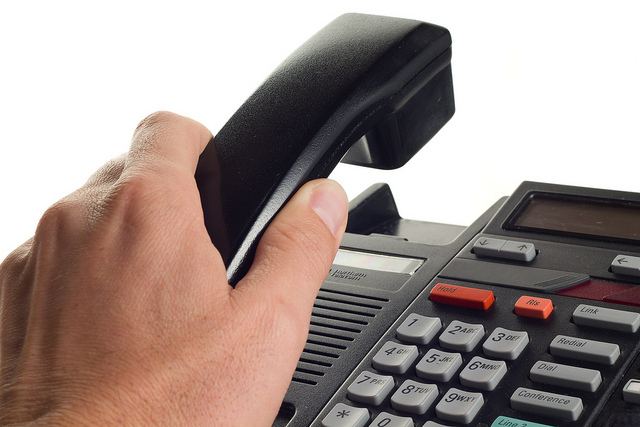 Have Clear Objectives – make sure your appointed telemarketers are clear about what you want to achieve. Supply a written brief with measurable outcomes and ensure you receive regular progress reports. Use a Focussed Agency – if you are outsourcing your calls, avoid projects where the telemarketing company receives some peripheral benefit. Sometimes agencies run projects where they are also trying to validate data or simultaneously creating leads for more than one client. This kind of distraction factor will often mean that you actually get less focus on your objectives and ultimately even if you are paying less you are likely to derive a worse ROI. Continue to Measure Results - it is not unheard of for a telemarketing agency to allocate a “star performer” or two to your project in the initial phase of the work, but re-allocate human resources later when the stars are required to kick-off a new project. Continuously measure results so that you can be aware of any deterioration or reduced productivity as soon as possible. Use a Consistent Approach - keep as many aspects of the campaign as constant as possible. If you change the targeting every month (or the offering, or the price, or the people/agency), you are very likely to get changing results too. If you have changed too many things at once you might lose the ability to understand precisely which changes are helpful and which are counterproductive. Fine Tune Your List – using your experience from early results, exclude any prospects that would not understand the relevance of your offering. Random Choice - if you have a large pool of possible prospects and are thinking long-term rather than immediate, use them on a random basis. 1000 or 2000 records would allow you to have a pretty good feel for what can be achieved from any other 1000 or 2000 records from the same pool. In this way you will not only benefit from the business produced, but also gain a business development plan that you can rely on with a fair degree of certainty. Time Your Re-Approach - try to understand how often you can re-approach a prospect. This varies depending on the product or service. For instance if somebody says they do not require any stationery today, they might need some next week / month. If they say they don’t need a new company car today, the situation probably won’t change for several months. If they say they are not planning to move offices in the foreseeable future, they probably won’t be in a different situation for at least a year. You will want to approach them again sometime but if you can find out when they think they could be interested, then you have a massive advantage. Measure it Again - no matter how much measurement you do, you will nearly always find that the more frequently you re-consider the outcomes the quicker you will be able to identify anything that needs to be reviewed. We hope you find these top tips beneficial when planning future telemarketing campaigns and if we can be of further assistance when seeking B2B data then contact us for an alternative quote. Your content will change with each email. But B2B marketing is largely about consistency, so it’s a good idea to retain any themes such as the colour scheme, logo and even a 'house style' of writing. Winning a new customer can take many 'touches' before rapport and understanding is properly built, and you hope that rapport will strengthen over time. Your reader needs to remember you and relate to the evolving relationship. Keeping these elements consistent will also avoid any clash if, as you hope, they move from your email to your website. "If you liked this email": add a link in your newsletter that will encourage your readers to forward your newsletter to others. Perhaps it’s worth considering adding a 'register for future emails' option. This allows new viewers to register for future email. In B2B marketing, a growing opt-in list will always be a bonus! Having excited the reader about the benefits of your products and services, they need to know how to move forward. Normal B2B marketing practice says it is good to include a link or two to your web page, as well as an email address, your phone number and postal address. It’s often a very good idea to inject a sense of urgency and encourage action NOW! Maybe a time limited special offer – it helps to avoid undoing all your efforts, you have got them interested but it’s not uncommon for people to forget. Most of all, tell them what to do: "Call us now!" Think hard about how you sign-off. In the last set of tips we shared the importance of a consistent personality. Your B2B marketing strategy should aim for consistency across the board. Perhaps your your company prides itself on being professional, so perhaps a formal sign-off is suitable – perhaps you have cultivated the persona of 'alternative, avant-garde or new', so you should sign off accordingly, perhaps just stopping! Your parting words and the impression they leave are almost as important as your first impression and needs to be tuned to fit you and your organisation. Make sure that recipients can easily find the feature to unsubscribe from the newsletter. This will show the integrity of your business ... and anyway it’s the law! We hope you have found this series of blogs useful and have been able to start creating more effective B2B marketing emails. If you’re looking to buy B2B data for email marketing campaigns then contact us for an alternative quote. Do you have a marketing mystery to solve, new customers, where are they, what do they do? How do you intend to expose and apprehend them? Our neighbouring town Torquay celebrates Agatha Christie this month - one of our most famous ‘who done it’ writers. At Corpdata our research detectives continue to do the donkey work for you, letting us present to you a list of perfect suspects allowing you to catch your new customers red handed, doing the right job, in the right companies. Who done it puns aside, for the best direct marketing results we will select your ideal list; choose the decision maker, geography, industry, employee size and much more. 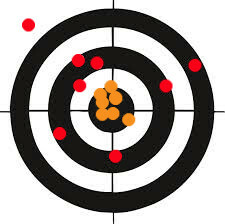 Let us do all of the detective work – you just need to tell us what kind of customers you want to target. We can help you find new customers! Tell us who you want to find. Finding the right people for you, those most likely to buy what you are selling is key to generating the best return. No matter how well-crafted your campaign, how enticing or generous your offer, if you target the wrong people your marketing will fail to generate the best return. If your targeting is way off the mark you might even be looking at a complete waste of time and resources. Do you have a clear idea of who your best prospects are? What has worked in the past with some success? Equally useful, who hasn’t responded to what you had to say and offer? Being able to identify both is important to your targeting. Questions, questions , questions - your choices …..
Where are your ideal prospects? We have covered what they do but what types of companies do they work for, in which sectors, what do those organisations do? How large or small should they be; and what’s the best way of making sure they aren’t too big or small; number of employees within the company on a site basis or nationally, or by turnover? Geography – does it matter to your sales and distribution if they are hundreds of miles away? If the answer is yes, its quick and straightforward to search from a single point, regionally, by county, town or postcode or even by distance from your location. We’ve quickly covered some of the basics but you also need to consider who you would not wish to market to. You would not want to market to your competitors! You would wish to re-introduce yourself to existing customers, but probably would want to use a slightly different approach, so you would need them identified separately. You should also try to exclude companies which could not be interested in your products. Sending irrelevant marketing to people is definitely a waste of your marketing budget, and may even create a poor impression of your brand or even prompt critical PR. Excluding the ’wrong’ contacts needs a moment’s thought but is simple to do. We have covered who and where but what about how? 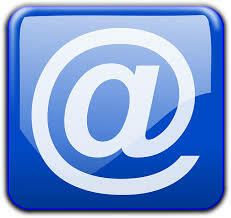 How are you intending to communicate, mail, phone or email or perhaps a combination of all three. It’s important to consider the channel. The right people, in the right jobs in the right organisations, contacted at the right time in the right way. Double check your planned marketing and your data to make sure it is compliant with the law before you press the “GO” button. There are a range of legal requirements including exclude lists and suppression files, data protection and distance selling legislation. Of course you might have rules that apply specifically to your company, especially if you are in a regulated sector like financial services. Finally, once you have chosen the who, where and how it’s still important to draft what you say, and ensure it is relevant to the contacts you hope will buy from you. As you write your copy it’s a good idea to access your mental profile of people who are within your marketing list, doing so should help you fine tune your message and gain the greatest success.